Since his New York Carnegie Hall début at age 11, violinist Misha Keylin has earned critical and popular acclaim for his exuberant musicality, keen interpretive insight, and rare tonal beauty. Noted for a wide range of repertoire, Keylin is attracting particular attention with his world-premiere complete CD series of the seven Henry Vieuxtemps violin concertos, released by Naxos. These recordings have already sold over 150,000 copies worldwide and garnered numerous press accolades and awards (such as “Critic’s Choice” by The New York Times, Gramophone and The Strad). Following the success of the violin concertos, Naxos has invited Keylin to record the complete works of Vieuxtemps. 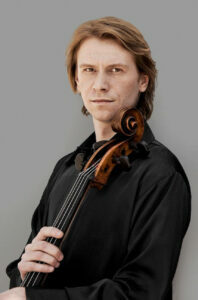 In a career already spanning fifty countries on five continents, Misha Keylin has been guest soloist with the St. Petersburg Philharmonic, Leipzig Chamber Orchestra, NDR Philharmonic of Hannover, Budapest Philharmonic, Israel Sinfonietta, Bologna Philharmonic, and the Philharmonic Orchestra of Chile; in addition, he has performed with the National Symphony Orchestras of Ukraine, Latvia, Colombia, Costa Rica and other prestigious ensembles. 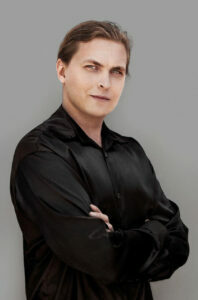 United States concerto and recital appearances have brought him to the major venues across the country. 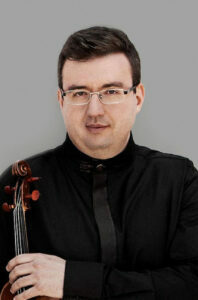 Hailed as “a brilliant cellist” by the legendary Mstislav Rostropovich, Sergey Antonov went on to prove his mentor’s proclamation when he became one of the youngest cellists ever awarded the gold medal at the world’s premier musical Olympiad, the quadrennial International Tchaikovsky Competition. Antonov’s entry into this elite stratum of sought-after classical artists has already placed him on stages at world-renowned venues from Russia’s Great Hall at the Moscow Conservatory to Suntory Hall in Tokyo. His international performance tours have taken him to France, Italy, Hungary, Sweden, Finland, Korea, Bulgaria, Germany, Spain, Canada, and the United Arab Emirates. He has collaborated with such conductors as Yuri Simonov, Maxim Vengerov, David Geringas, Mikhail Pletnev, Jonathon McPhee, Yuri Bashmet, Eiji Oue and Yan Pascal Tortelier. Mr. Kazantsev, a fresh and exciting presence on the international music scene, has been hailed by The Washington Post as “virtually flawless”. He has performed as recitalist and soloist with orchestra extensively in Russia and the United States, as well as appearing in Germany, Japan, Italy, France, Canada, Ukraine, Belarus and Slovenia. Among his many awards and honors, Ilya received the first prize at the Nikolai Rubinstein International Competition (Paris) and was a winner of the International Chopin Competition (Moscow) and the 2007 & 2008 World Piano Competition (Cincinnati). Based in the United States since 2002, Mr. Kazantsev has participated in master-classes presented by leading pianists such as Earl Wild, Richard Goode, Yefim Bronfman, Philippe Entremont, Menahem Pressler and Pierre Boulez.